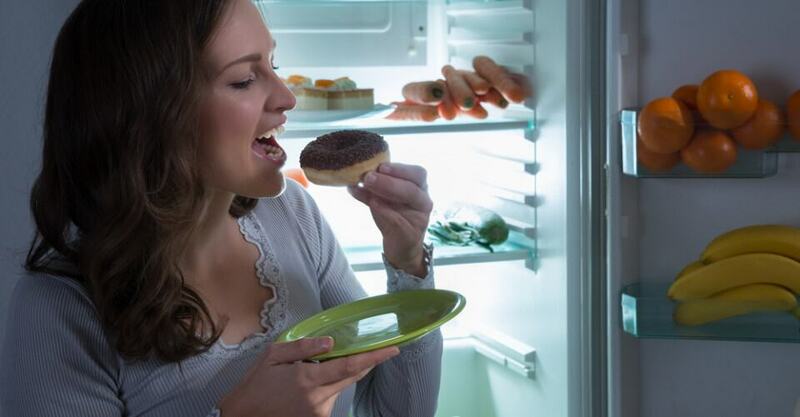 The problem is that most people are able to restrict what they eat and resist their favorite high-calorie foods during the day, but, “They allow themselves a treat at night, usually salty or sweet foods,” says Allison. In fact, Allison’s recent study found that most people are not #eating just more carbs (once thought to be the cheat food of choice) but more of the foods they love. WHY DO WE EAT AFTER DARK? The majority of dieters label this the most difficult time to control their behavior. “It’s partly because we have time at night. We’re not at work or busy taking care of kids,” explains Ruth Striegel-Moore, Ph.D., professor of psychology at Wesleyan University. Other primary causes of eating extra #calories at night include depression, sadness, anxiety, loneliness or boredom. “Plus we’re at home, in close proximity to food, whereas during the day, we may have to go through more trouble to obtain food,” says Allison. Are you tired, bored, lonely or just snacking out of habit? If you’re feeling lonely, call a friend. If you’re tired, go to bed. If you’re bored, get busy. Learn to play a musical instrument, write letters, clean your house, paint your nails, surf the Internet, play with your kids, take a bath or read a good book. Or choose to do something active after dinner, such as going for a walk or a bike ride or taking tennis lessons. “We can learn to feel hungry at set times or in set circumstances,” says Striegel-Moore. Cravings can become a ritual, meaning that just as you might feel tired at night because you usually go to bed, you might feel hungry at night because you usually eat then. 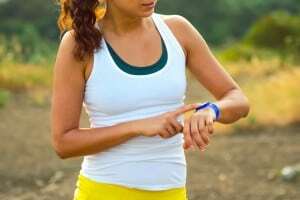 If you make a conscious effort to stop eating at that time and come up with alternatives, after a little while that hunger pattern could go away. Delayed eating only creates a desire to overeat later in the day. “Eating regularly is recommended because it helps maintain energy,” says Striegel-Moore, adding that eating at night will only start a vicious cycle of shifting intake toward the evening. Make sure you eat breakfast. Even if you just have a slice of whole-wheat toast and a piece of fruit, or a low-fat yogurt and a bran muffin, you’ll be less likely to overeat at night. Also, have an afternoon snack that includes carbohydrates and protein, like a handful of almonds with raisins or a slice of cheese on whole-wheat bread — it can provide staying power. Eating at night in moderation can be OK. In fact, an after-dinner snack is pretty normal. The problem arises when we overdo it and eat a pint of ice cream instead of the half-cup serving the package recommends. To overcome this habit and cut down on your calorie consumption, find a few nighttime Calorie Bargains. Basically, Calorie Bargains are lower-calorie substitutions for what you typically eat. For instance, if you normally choose nachos and cheese at night, replace them with baked pita chips and salsa for a similar snack that’s lower in calories. Or, if you typically drink chocolate milk, try using skim. Finding substitutions you can live with is the most important move you can make in battling nighttime noshing. Come up with five different low-calorie snacks you enjoy and keep them readily available. “You should create snacks that are about 100 to 200 calories, depending on your daily calorie needs — and make sure to get those high-calorie snacks out of the house,” says New York City nutritionist Shira Isenberg, R.D. If you don’t want to find substitutes for your favorite snacks, try pre-measuring one serving of your favorite food and eating only that much. Put away any leftovers before you start to eat. Never eat directly out of a bag or box — that’s just asking for trouble! According to the “British Medical Journal,” people tend to forget the snacks they eat that are high in calories, fat and carbs. So pay attention to your snacks, especially if you’re eating them in front of the TV, at the movies or in front of your computer. Keeping a food diary helps you stay on top of what you put in your mouth. Striegel-Moore recommends not eating while doing other activities. Research has shown that when we focus fully on what we eat, the meal is experienced as more satisfying and filling than when we are distracted while eating. Don’t keep food in the house that may be hard to resist in the evening hours. Stock your fridge with healthy snacks, such as veggies and fruit, that won’t leave you feeling guilty. Research from the University of Illinois has shown that if a snack is within sight and easy to reach, you are going to eat it. When candy was just 6 feet away from office workers’ desks (as opposed to right on their desks), the workers ate less of it. If you have a snack attack and there is only “good” stuff around — well, that’s probably what you’ll eat. Once dinner is over, wash the dishes and turn off the lights. Consider the kitchen closed for the night. This may be a good enough deterrent to keep your mind off food. Come up with other techniques that signify the end of your meal, like having your favorite cup of coffee or a small mint. This ritual will remind you that eating is over. Keep a big glass of water, #diet soda or low-calorie iced tea on hand. Liquids fill you up, or, at the very least, may subdue your urge to search the cabinets for late-night munchies. This doesn’t work for everyone, but some people swear by it. Food may not be as tempting if you have minty-fresh breath. Plus, the thought of having to repeat the whole process may be enough to discourage you from eating again. Eat only at the kitchen or dining room table. Consider all other areas of your home snack-free zones. No snacking in front of the TV or computer. No munching while on the phone. Serve all snacks on plates — make it formal. No picking while standing in front of the fridge or in the kitchen. DO YOU HAVE NIGHT EATING SYNDROME? Although many of us tend to overeat in the evening, at a certain point, it can become a serious problem. Night Eating Syndrome (NES) is “a delay in your pattern of eating, so that you eat a significant proportion of your food after your evening meal, at least 25 percent, and/or you wake up in the middle of the night to eat at least three times per week,” says Allison, who also co-authored the book “Overcoming Night Eating Syndrome” (New Harbinger Publications, 2004). However, according to Wesleyan’s Striegel-Moore, “It is important to note that, unlike eating disorders such as anorexia nervosa or bulimia nervosa, there is no uniformly accepted set of defining features for the syndrome.” Is NES a real disease? “Experts still debate this question,” says Striegel-Moore. What causes it? According to Allison, “It’s a stress-related disorder in which about 75 percent of the sufferers can link its onset to a specific stressor, such as a difficult pregnancy, loss of a job, divorce or stopping an addiction (e.g., alcohol, drugs or cigarettes).” Many of us eat a lot during the evening hours, but those who have NES are often concerned that they can’t seem to stop. They often feel they need to eat to go to sleep or to put themselves back to sleep if they wake in the middle of the night. If you suspect you have NES, seek out a trained professional, and follow the advice in this column.